TrickBot emerged in 2016 as banking trojan and became famous for targeting various banking companies and their customers, including the online payment system giant PayPal. During the lifetime, authors of malware added improved its functionality and found new methods to reach potential victims. Recently, security researchers discovered a new malspam campaign delivering TrickBot malware. 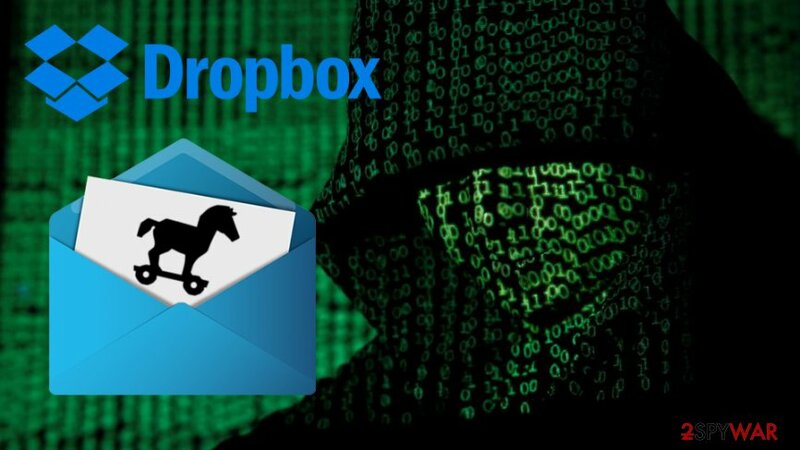 Malicious emails are pretending to come from official Dropbox website; however, it is nothing but a hoax, trying to mimic the legitimate Dropbox in order to trick users into downloading malware on the system. Your company administrator has uploaded a secure document for you or your company. This string of letters and numbers is a unique ID for the document you received. The document associated with this unique ID opens. You can now sign, download and save, print, and perform “More” actions on the document, depending on the permissions the sender has given you. As evident, clever social engineering is used to make email more believable. If the victim falls for the trick and clicks on the malicious link, the TrickBot payload is delivered instead of “secure document” from Dropbox. With the new malspam campaign, the latest version of the virus emerged. It was first spotted on 15th of March, 2018. Apparently, the new variant now contains a screenlocker element, targeting employees of organizations, who rarely use their online banking while at work. It seems like TrickBot, originally being banking trojan, developed into a malware dropper in recent years. Initially, TrickBot dropped few modules into the victim's system, which were designed for different function. The primary module is known as a banking trojan (which allows the replacement of the original banking site). The second one was used to spread malware from contaminated computers. Finally, SMB worm was used to move between large networks. Spreader_x86.dll – SMB self-replicating worm spreads to other networked computers by exploiting EternalRomance and other vulnerabilities. SsExecutor_x86.exe – after the first module is established, this one is meant to root itself into the system to enable boot persistence. ScreenLocker_x86.dll – the last module is not entirely functional, as it only locks up victims’ screen but does not encrypt files. The latest version of the virus was designed to make the modules startup one after another, triggering the screen locker only after the worm has spread through the entire network. Researchers assume that the entire purpose of the TrickBot virus might change very soon if the lock screen functionality is fully developed. It will allow hackers to encrypt victims’ files and demand ransom in return for a decryption key. This business model seems to be much more efficient, considering users who work in large organizations are less likely to use their personal e-banking. In comparison, locking hundreds of computers can bring much more profit to cybercriminals. Set strong passwords for each of your accounts and change them at least once a year. ^ Julie Splinters. TrickBot virus. How to remove? (Uninstall guide). 2-spyware. Security and spyware news. ^ Tara Seals. TrickBot Targets PayPal, Salesforce.com. InfoSecurity. InforSecurity Magazine. ^ What is Phishing?. 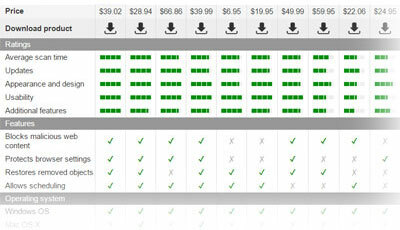 Webroot. Cybersecurity solutions. ^ Chris Doman. Destructive malware - a closer look at an SMB worm tool. PWC. Cyber Security Updates. ^ Encrypting File System. Wikipedia. The free encyclopedia. This entry was posted on 2018-03-23 at 05:51 and is filed under News, Viruses and parasites.